FLOW-3D is an accurate, fast, proven CFD software that solves the toughest free-surface flow problems. 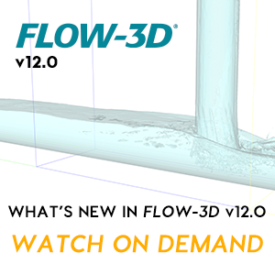 A pioneer in the CFD industry, and a trusted leader, FLOW-3D is a highly-efficient, comprehensive solution for free-surface flow problems with human-centric support. Lean, accessible, scalable. Avoid the high cost and headache of in-house hardware and take your simulations to the next level with FLOW-3D CLOUD, end-to-end, on-demand cloud computing.